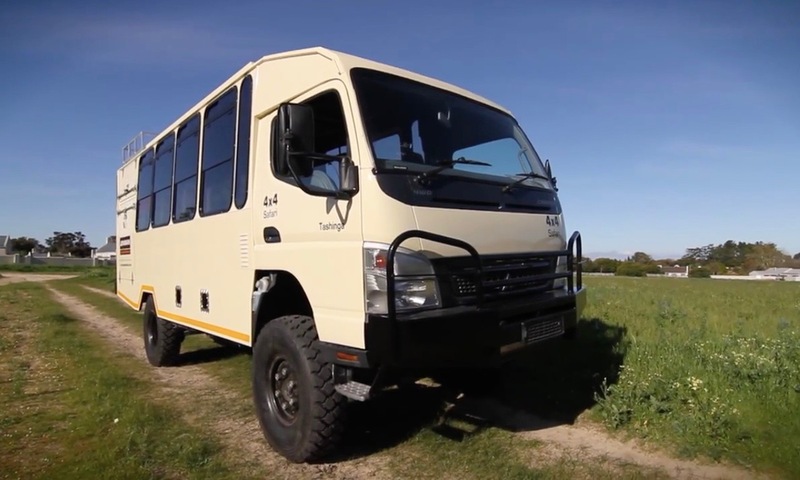 At Footsteps Through Africa, we have top of the range vehicles and camping equipment, custom made and perfectly suited for the tours that we run. 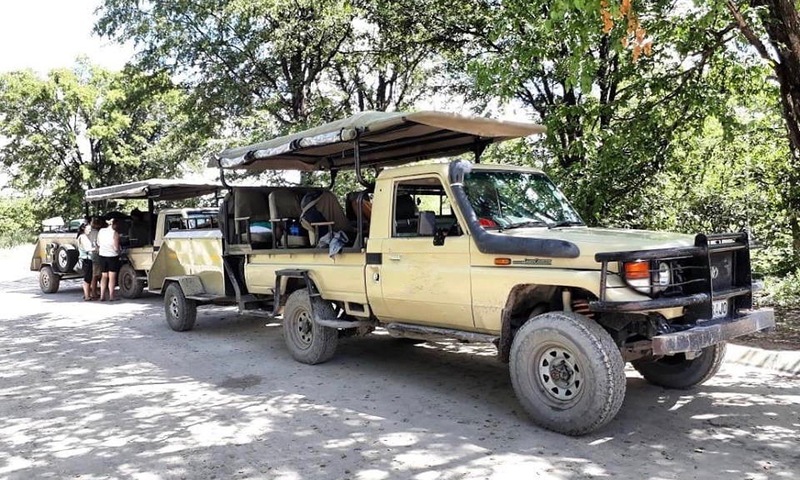 We use our unique overland trucks for larger groups, in addition to 7 seater Land Cruisers for the smaller groups and classic style open safari vehicles for game drives in certain National Parks. Even when ‘Roughing it’ on one of our camping tours, there is always a sense of comfort on our Footsteps Tours! 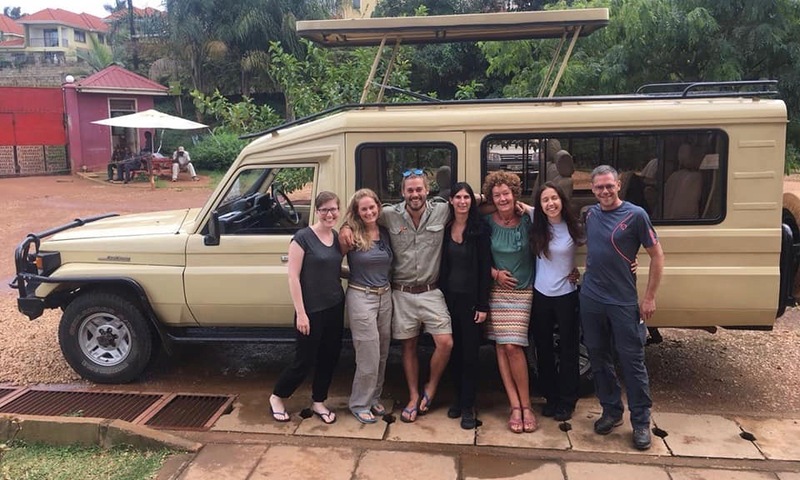 We have custom made, 13 seater Overland trucks used for our larger tour groups. They have been built on Mitsubishi Fuso chassis and perfectly designed to make you feel comfortable and at home during your time with us. • Air-conditioning – Stay cool, during the hot African summers! 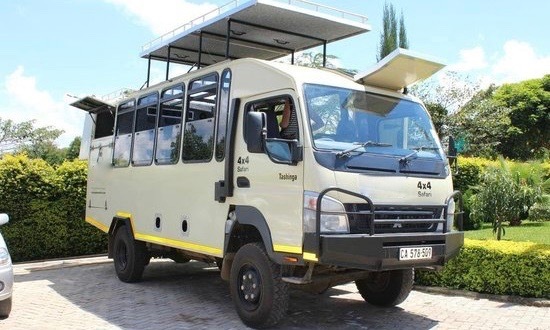 • 13 Seater – Limiting our tours to a maximum of 13 people gives you a more exclusive safari and tour experience as well as more spacious vehicle. • 4 x 4 drive train – Having a 4x4 vehicle allows us more freedom of to explore the ‘off the beaten track’ areas of certain national parks and countries. • Fridge and Freezer – We have a large fridge and freezer on board the vehicle – keeping our food fresh and our drinks cold! • Charging station – Each seat is equipped with a USB charging port to utilise while driving, in addition to the vehicles inverter that has adaptors for most countries. During the ‘Mobile Safari’ section of our Botswana tour, we use these open 8 seater safari vehicle – The best way to enjoy a classic style African Safari! 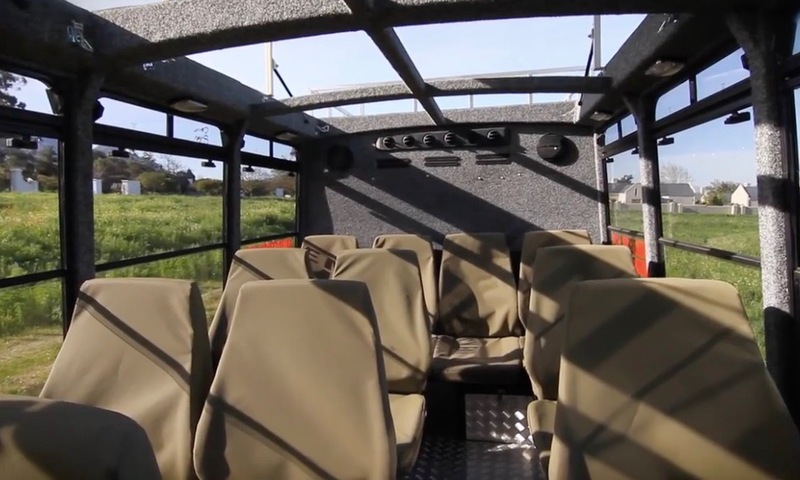 • Open Vehicle – Allows for an optimal game viewing experience and the roof overhead blocks out the powerful African sun! • Fridge and Freezer – Equipped with fridge/freezer on board the vehicle – keeping our food fresh and our drinks cold! • Full range 4 x 4 – Allows us more freedom of to explore the ‘off the beaten track’ areas of certain national parks. • Charging Station – All vehicles equipped with an inverter and charging station to keep you battery levels up! For our smaller groups, we use our custom made 7 seater land cruisers – built on an extended chassis to allow for plenty of space.